Stefanie Batson is from Orlando, Florida. She attended the University of North Florida where she studied flute with Rhonda Cassano and piano with Dr. Erin Bennett. She holds a Bachelor of Music in Music Performance. 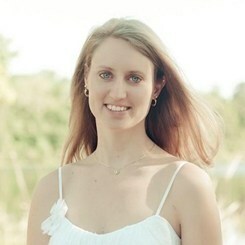 Stefanie has been the Lead Musician for Lord of Life Lutheran Church in Palm Valley, FL since 2012. She has been an accompanist since high school. Stefanie is an active theatre musician and music director. Request Lessons with Stefanie today!